I'm so excited! I used to work with the young women at my church. I now serve in another capacity. I've missed working with those amazing young ladies. Lucky me on Wednesday they will be coming to my home to make a Quilty Hug. They had told their current leader they wanted to do some kind of service. I told you they are amazing. Their leader asked if there was anything they could do to help with Quilty Hugs. 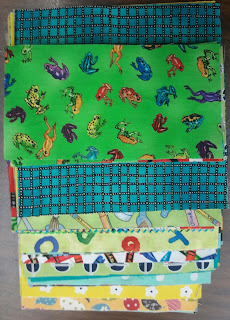 At first I thought they could use my Go cutter along with my neighbors and iron and cut scraps into usable pieces. Then I realized that many of these girls know how to sew. So I cut out a simple quilt for them. I'm having them make this quilt. 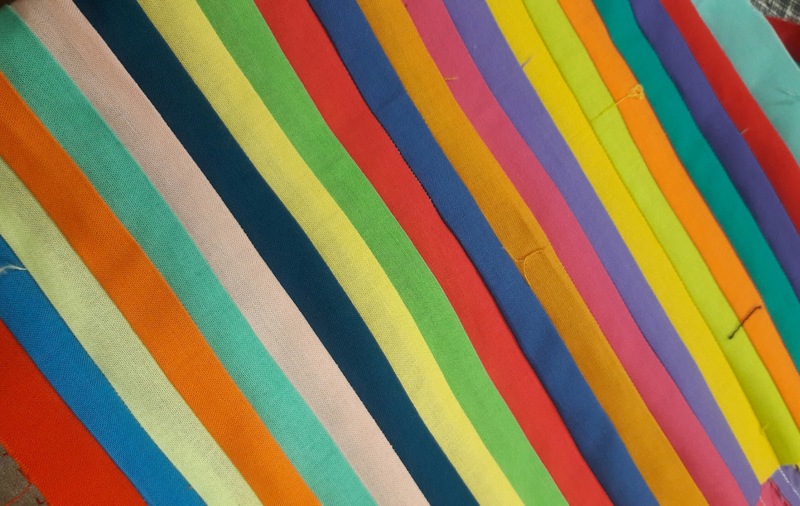 I figure there are no seams to match and if someone's seams are a little bigger we can adjust easily and have them feel they did a good job. In addition to cutting pieces I made a strata with my strips to continue my matching sewing accessories. Should be able to show you the whole set soon. Now it's your turn. What are you moving forward? Link up and share. What a fun project for the girls and you! 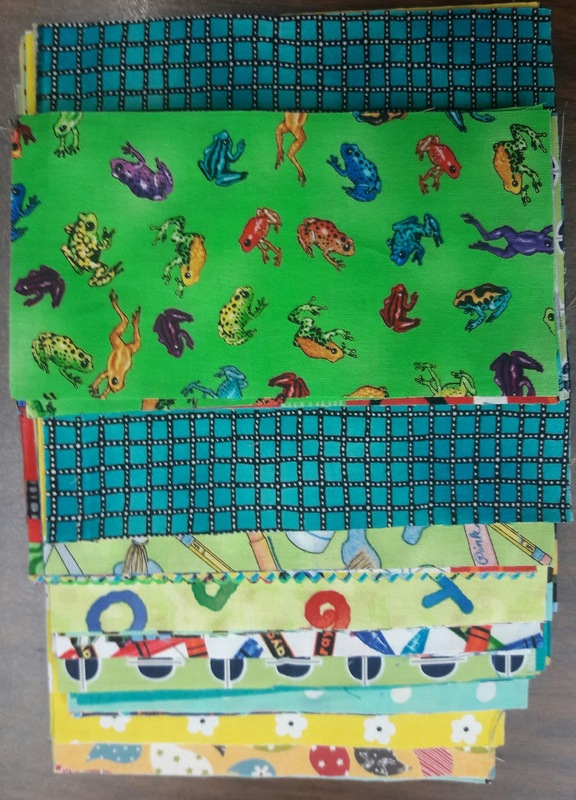 I have that exact same frog print leftover in my stash from when my boys were little! How the time flies. Glad you are able to help these girls with their service project. What a great way to spend time together! Enjoy!